ŌʻŌKALA, Hawaiʻi - Big Island Dairy will discontinue its operation of raw milk production and milk processing operations at its farm on the Hamakua Coast. (BIVN) – After a contentious time trying to grow its operation along the Hāmākua Coast, the Big Island Dairy confirmed that it will cease operations. The Big Island Dairy has for years been at odds with the Ōʻōkala community. Wastewater discharges have been a problem, most recently in August during the heavy rains associated with Hurricane Lane. As a result of a citizen suit by community group Kupale Oʻokala and the Center for Food Safety, the Big Island Dairy has finally acknowledged that it cannot lawfully operate its mega-dairy in an economically feasible and environmentally safe way, and has promised to shut down operations. For years, this Idaho-based large confinement operation of nearly 3,000 cows has illegally discharged manure on Hawai‘i’s Big Island, endangering local waterways, and the neighbors that rely on them, with massive amounts of animal waste. In response to the groups’ June 2017 Clean Water Act lawsuit, it has become clear that an industrial dairy of Big Island Dairy’s size cannot operate uphill of Oʻokala without causing unlawful and dangerous discharges. 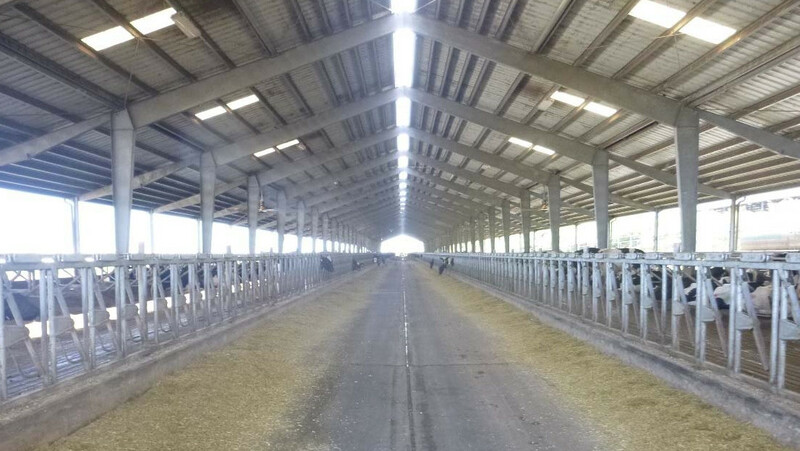 However, the Big Island Dairy owners have no plan for safe or speedy closure of the operation, and have recently violated an agreement with the groups that allowed the Dairy to delay trial for its pollution. “We have waited years to be able to once again enjoy the beautiful streams, fishing, and hunting that have been contaminated by Big Island Dairy. The decision to shut down comes as a great relief to us, but the Dairy’s recent decision to violate its agreement with our community shows it simply does not care about Oʻokala or its people. We are sick of being forced to live with the overpowering smell of manure from the Dairy, instead the community deserves to take a breath of fresh air,” said Genard Frazier, Vice President of Kupale Oʻokala and lifelong community member. As the lawsuit has shown, the operation of this large concentrated animal feeding operation (CAFO) uphill from Oʻokala, including holding animal urine and feces onsite in open-air pits and spraying of dairy waste during high wind or rain days, has caused dozens of discharges of dangerous animal waste, in violation of the federal Clean Water Act and state pollution laws, even after the citizen suit was initiated. Residents of Oʻokala have witnessed for years brown murky water smelling of animal feces, shown to contain high levels of dangerous bacteria through testing, flowing from the dairy into local waterways, and ultimately into the Pacific Ocean. The groups recently stipulated with Big Island Dairy to delay the trial that would determine its liability for these discharges, in exchange for the payment of a small fraction of the costs of bringing the lawsuit, but now the Big Island Dairy says it will not pay. The local community’s repeated efforts to get the dairy to cease polluting their waters have fallen on deaf ears, and the dairy has continued to pollute even after the groups filed their lawsuit. In 2014, based on a complaint from the community, the Hawaiʻi Department of Health confirmed feces and urine from the dairy had contaminated local streams, but took no action. It was only after the community groups provided Big Island Dairy with formal notice of their intent to sue in April 2017 that the Department issued a notice of violation. Instead of complying with the law, Big Island Dairy has continued to discharge animal urine and feces, endangering public health and the environment, and violating the Oʻokala community’s right to enjoy its local waters. For example, in May the CAFO released 2.3 million gallons of contaminated water over three days into the waterways that flow through Oʻokala, and again in August during Hurricane Lane they released at least 5.9 million gallons of manure water into nearby gulches. Through the community’s lawsuit, it has become clear that the mainland-style large CAFO cannot be lawfully operated on the Big Island, and when forced to comply with clean water laws such an operation is not economically feasible or environmentally safe. “Industrial food solutions do not make sense for our fragile island ecosystem or for promoting Hawai‘i’s food self-sufficiency. Mainland-style intensive confined animal operations like Big Island Dairy have devastating environmental and human health impacts, and as Big Island Dairy continues to show us, our local communities unfairly bear the brunt of those harms,” said Dr. Ashley Lukens, Director of the Hawai‘i Center for Food Safety. The lawsuit was filed in the federal district court of Hawaiʻi. The plaintiff community groups are jointly represented by the Law Offices of Charlie Tebbutt, Center for Food Safety and Amanda Steiner of Terrell Marshall PLLC.